Food waste has catapulted from a niche concern to a topic of widespread public interest over the past couple of years. These 6 companies have found creative solutions to this pressing issue. 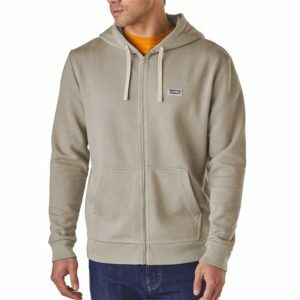 A men’s Clean Color Hoody dyed with pomegranate rinds. Hayes’ team spent three years testing and developing the dyes before introducing the Clean Color Collection to market. Sourced from 96% renewable materials, the dyes showcase the natural pigments of food waste like pomegranate rinds that produce a rich yellow brown and the peels of bitter oranges that produce a rich brown color, as well as other materials like mulberry leaves, palmetto green, and carmine. While the collection is still in its early days, Patagonia’s Clean Color Collection has the potential to expand consumer awareness about the limitless applications for food waste. Offering quirky flavor combinations like Top Banana, as well as Fiery Tomato, the UK-based outfit sells condiments squarely in the $4-6 range and uses perfectly edible, but aesthetically imperfect fruits and vegetables. Rubies in the Rubble also actively seeks out partners to collaborate on site-specific solutions and flavors. 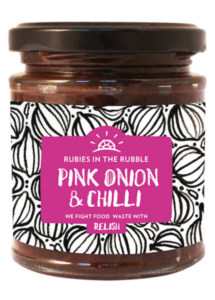 One recent partnership between Rubies in the Rubble and Virgin Trains, a UK-based train company, transformed surplus fruit from trains to apple chutney now served on Virgin Train’s first-class menu. A holiday collaboration with Fortnum & Mason, a 300-year-old foodstuff and home goods store, salvaged wonky pears from local Tendring Fruit Farm to produce a limited edition Pear, Fig & Port spread. Across their varied product lines, Rubies in the Rubble connects consumers’ purchases to on-the-ground environmental benefits every month. In March, for instance, their website broadcasts that the equivalent of 6,708kg of CO2 has been diverted by repurposing 1,020 curly cucumbers, 5,100 over-ripe tomatoes, and 1,900 pink onions. 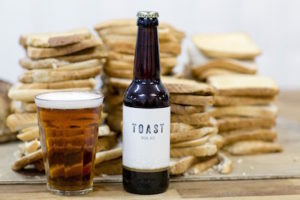 Founded by Tristram Stuart, mastermind behind renowned British food waste organization FeedBack, Toast Ale capitalizes on the 44% of bread produced in the UK that goes to waste. Bread is combined with malted barley, replacing approximately ⅓ of the grain typically used in a given recipe. While Toast Ale began by sourcing day-old bread from bakeries across London, they currently partner with Adelie Foods, which produces 3 million sandwiches a week that generate tens of thousands of crust-covered “heels” of leftover sandwich bread. More recent collaborations stay true to their locally-sourced beginnings with operations in Bristol, Devon, Sussex, and London that help local breweries partner with local bakeries to develop interesting beers. Though the first to bring the concept of bread-based brews to scale, Toast Ale acts far from territorial. In fact, they are intent on provoking a “rev-ale-ution” and have encouraged newcomers to the space including UK-based “Wasted,” a pear farmhouse ale, a US-based brew dubbed “Loaf,” and “Bammetjes Bier” from the Netherlands. ReGrained founders Daniel Kurzrock and Jordan Schwartz admit that their first foray into home brewing may have had something to do with the fact that they were underage, yet thirsty, students at UCLA. And, while they couldn’t purchase beer, they could purchase the ingredients. 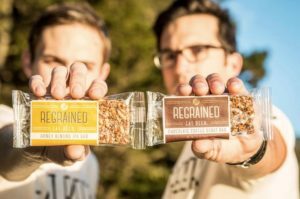 Amazed at the quantity of grain leftover after their first brewing endeavors, Kurzrock and Schwartz decided to bake bread with the byproduct, which has evolved into a full-time business serving as “a go-between the brewing industry and local food systems” and specializing in Supergrain Bars. Today, their product includes flavors like Honey Cinnamon IPA, Coffee Chocolate Stout, and Honey Almond IPA Bars. Not only is “spent grain” far from spent, the ReGrained team advocates, but “spent grain” is healthier than the original grain since almost all of the grain’s sugar is extracted in brewing, leaving a great source of dietary fiber and plant protein left. Another brain-child of college students, Misfit Juicery came into being when Ann Yang and Philip Wong borrowed a blender and purchased four crates of surplus peaches from a Washington, D.C. farmers market. Yang and Wong discovered that retooling “ugly fruit and vegetables” into cold-pressed juices was an effective way of camouflaging their imperfections while highlighting their greatest attribute: taste. 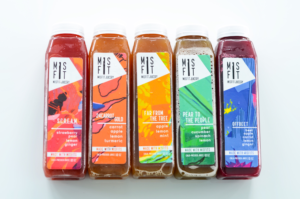 Permeating the DC market before expanding to New York City and throughout the tri-state area, Misfit Juicery now distributes at more than 50 locations, including the cafe at Dan Barber’s Michelin-starred Blue Hill at Stone Barns in Tarrytown, NY. Currently, Yang and Wong are fine tuning projections for the discounted rate they can expect from purchasing unaesthetic produce, generally ranging from 25-60% of top-shelf alternatives. Similarly, the duo is experimenting with ways to provide consistent classics like their cold-pressed juice hits Pear to the People, Offbeat, and 24 Carrot Gold, as well as providing seasonal variety. The Mighty Muffin evolved from a request by Boston Public Schools (BPS) to the local food business incubator for a new breakfast item for students, CommonWealth Kitchen. 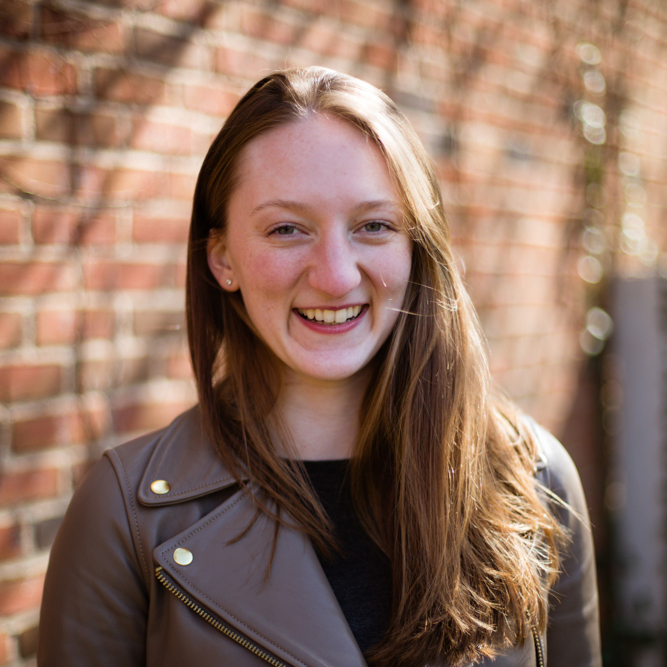 While participating in the incubator, Meg Crowley developed a recipe that fit the bill of a muffin that was delicious, but also low in sugar, high in fiber, and nutritious. Crowley accomplished this tall order by creating a new use for the by-product from the carrot peels, tomato ends, and celery tops that a Baldor Specialty Food location in Boston generated. Once dehydrated, these scraps once destined for a landfill could serve as a 25% substitute of the whole wheat flour Crowley used to make the muffins. In further efforts to build nutrition and rescue food, surplus produce like zucchini, apples, squash, and carrots are also incorporated. With 78% of BPS students qualifying for free or reduced lunch, BPS has participated in a federal program to offer breakfast, lunch, and an after-school meal to every student free of charge. Since this transition in 2013, BPS has searched for more local and regional partners to work with and has inadvertently acted as a catalyst for scalable and replicable food waste solutions.